Manascrew – mulligan or not? All players find themselves in this situation sooner or later: their deck needs two lands to properly get going. They draw seven cards – and only have a single land in hand. What now? Mulligan for six? Want to know how to calculate probabilities with “Hypgeom.Dist“? Read on to the end of this article! Let’s suppose we play 19 lands (not an unusual number in Legacy). In this case, only 6% of all opening hands produce no lands at all, but 72% percent have two or more of them. What happens if we take a mulligan? The probability of drawing two or more lands comes in at 63%, which is good, while the probability of a no-lander stays comparatively low at 9%. So if we’re only looking at the number of lands in hand, we should take the mulligan and have an above-average chance of finding a second land. Of course we’re not only looking at the number of lands in hand. And not all lands are created equal – it’s a big deal whether the single land in our hand is a Polluted Delta or a Wasteland, just as it’s a big deal whether our other cards are six Relentless Rats or Dark Ritual, Dark Ritual, Lion’s Eye Diamond, Ad Nauseam, Past In Flames, and Infernal Tutor. In any case, we should keep one thing in mind: if we mulligan here, we probably have two lands in hand, but we definitely have a card less. So let’s look at what taking a mulligan means for our business. Manaflood – mulligan or not? For almost all decks, the following is true: the more lands we have in hand, the less business we have. It’s a balancing act. A viable starting hand must have enough spells to implement our game plan – and enough mana to pay for them. So what happens we find ourselves with too many lands and not enough business? Will a mulligan redress the balance? Let’s suppose, again, that we play a deck with 19 lands. We draw seven – and four cards in our hand are lands. That’s two more than we’d like. What now? Mulligan for six? This table shows our chances to draw a certain number of lands for a deck with 19 of them in it. 21% of hands contain 3 lands and 3 spells, which is equal to before. 35% of hands contain 2 lands and 4 spells, which is better than before. 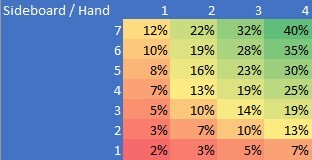 44% of hands contain either 0, 1, 4, 5, or 6 lands, which is worse than before. At first, the mulligan seems disadvantageous. But we’re not just looking at the chance to improve our hand – we are looking for a hand that’s at least at good as the one we had before. 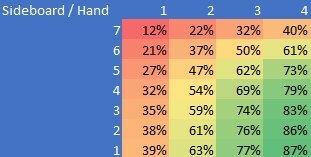 With a combined chance 56% to improve our hand, the mulligan seems to give us a slight edge. However, we also draw cards when the game starts, and we scry when we take a mulligan. If we start with a single land, the probability of drawing a land among the top two cards is 51%. 49% of hands contain either 2 lands and 4 spells or 1 land, 5 spells and a second land among the top two cards, which is better than before. 30% of hands contain either 0, 4, 5, or 6 lands or 1 land and no second land among the top two cards, which is worse than before. Now our decision looks a lot easier, with a mulligan to six improving our hand in 70% of cases. 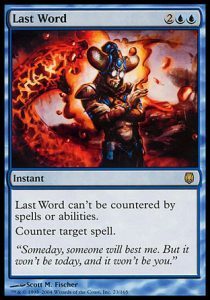 If we are the first player to draw a card, we see three cards instead of two. This further improves the mulligan with 74% of hands being superior to before. Whether it is Burn, Elves, Delver or Blade: most decks need a critical amount of lands and spells in order to play. But what if we don’t need many cards – just the right ones? Sideboard cards – mulligan or not? I once watched a player who was up against Dredge at a local tournament. The only out in his 75 was Grafdigger’s Cage. He draws seven – no luck. Six, five, four, three – still nothing. Finally, he takes two cards – and it is one land and his Grafdigger’s cage. Sideboards can improve our game plan by a lot. But what if we don’t see our sideboard cards in our opening seven? When is a mulligan worth it? If we’re digging for one of four cards – such as a Leyline of Sanctity against Storm – we can expect to find it with a mulligan to four in 79% of cases. We are therefore justified in aggressively taking mulligans without ruining our hand. At a certain point, however, further mulligans have almost no beneficial effect. For example, if we did not find our cards with a mulligan to four, a mulligan to one has only a cumulated 34% chance of showing a copy. In this case, we’re better of just playing and hoping. TRUE/FALSE determines whether to calculate the cumulated probabilities for 0, 1, or 2 lands. This prompt should return a value of 0.3237 or 32.37%. Let’s see if you got it. How probable is drawing one of four copies of Force of Will with a Brainstorm if you have 50 cards in your deck? If you entered the correct prompt, it should return a value of 0.2255 or 22.55%. Mulligans are more than just statistics. Evaluating your hand and formulating a winning game plan takes skill. Some hands without lands might be keeps. Other hands might have everything you need and still be shuffled away. Luckily, Magic: the Gathering is as much a game of skill as it is a game of luck. Never the less, statistics are important. 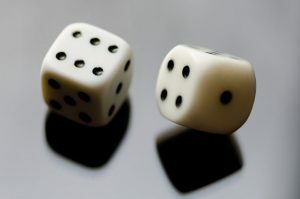 Every player who’s looking to get better should think about probabilities every once in a while. It’s easy to blame losses on bad luck. But taking mulligans correctly cuts down on bad luck. So if you want to minimize randomness in your games, you should definitely give mulligans another look.